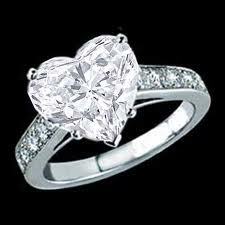 Heart Shaped Diamond Engagement Rings : How to Choose and Purchase It? The heart is the ultimate symbol of love. Heart shaped diamond engagement rings are the best and most elegant way to celebrate a couple’s upcoming wedding. The unique look of the heart-shaped diamond helps make it a distinctive choice for a variety of diamond jewelry.